Is It Time To Go To The Spa? 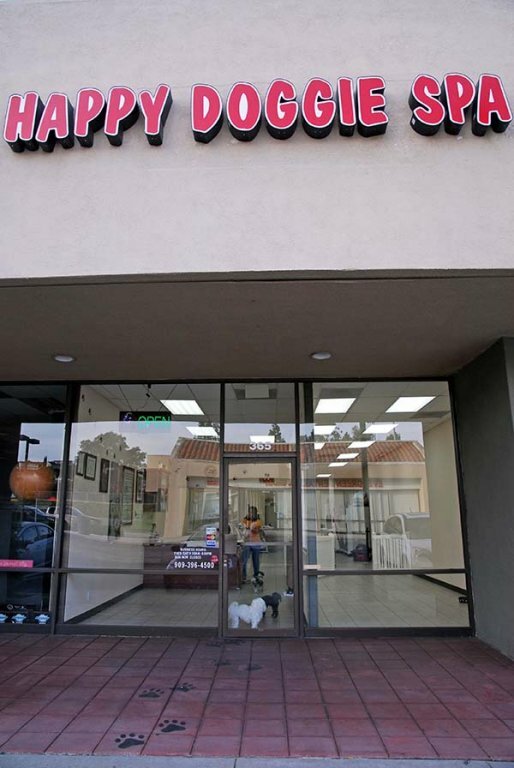 Happy Doggie Spa is a full service dog grooming salon located in the Diamond Bar Village shopping center, at the corner of Diamond Bar Blvd and Golden Springs. We provide a safe, clean, and comfortable environment for your dog. We know that your dog is a member of your family and we will give him/her the same loving care that we give our own dogs. We offer professional grooming on all dog breeds except Pit Bulls and Rottweilers. We do not cage customer dogs while they’re waiting to be groomed or to be picked up by their owner. Instead we have a large enclosed play area where they can play with toys and socialize with other customer dogs. Your dog is never left unattended. We also have a large dog shower room so that we don’t have to lift the larger breeds into a regular size bathing tub. Give us a call or contact us for more information or to make an appointment. You may also leave us a message and we’ll return your call as soon as possible.